There are several different uses for a sunroom, whether as an extension of a dining area, a place to entertain, a child’s playroom, or somewhere to relax. And there just as many styles of sunrooms, too. Victorian, Georgian, Edwardian, straight edge, and curved edge just to name a few. Even after deciding to add a sunroom, and choosing what to do with this valuable extra square footage, the job still isn’t done. How are you going to fill it? As is the case with most additions, sunrooms are often built as their own space with a single door, or even French doors, keeping them separate from the existing house. This allows the homeowner a blank slate when it comes to decor. For modern looks, sleek tables paired with faux-leather chairs can really set the dining room apart. Tabletops can be marble, granite, or even wood painted black with a shiny veneer to keep the look clean. Simple place settings, pendant lights, and perhaps a sidebar complete the look. If the sunroom will be looking out over a few acres of farmland, a more rustic look might make more sense. Expandable pedestal tables made of pine allow for larger dinners, re-purposed secretaries could hold place settings and maybe a stylized barn light hanging overhead. When decorating for an entertaining area, being able to move things around is important. No matter the season, you can always find a reason to have a get-together of some sort. When decorating for an entertaining area, being able to move things around is important. For example, during Christmas, you don’t want to be moving a large sectional couch out of the way so you can put the tree up. Chairs should be comfortable, but easy to move, so the room can adapt to whatever party you’re planning. A table is important, too: either for everyone to sit around during game night or a place to put refreshments as guest mingle. A television is certainly an option, but where should it go? Hanging down from the middle of the sunroom doesn’t make a lot of sense, nor does blocking any view to the outside world. That’s why you have the sunroom, right? Find a place on a shared wall, or even in a cabinet to keep it hidden when not in use. Perhaps rivaling the kitchen, a playroom needs as much storage as possible. Games, toys, blankets, pillows, and whatever else needed to occupy the children all need a place to go. Bench seating with storage under the seats is the perfect way to help keep things picked up. Make one bench area a little deeper for a daybed for sudden naps. Depending on the size of the room, this double-duty seating can really let you take advantage of the space. Depending on what kind of flooring you have in the sunroom, a large rug will add a touch of warmth. There’s no better way to start the day than enjoying a cup of coffee or tea in the comfort of a sitting room as the rising sun bathes the room in light. A love seat with end tables or coffee table, or a bistro set, offer the perfect place to start – or end – the day. The patter of rain on the windows completes the feel of your own little corner of the world. No matter what you’ve designed your sunroom to be, there’s a decor that matches your lifestyle. 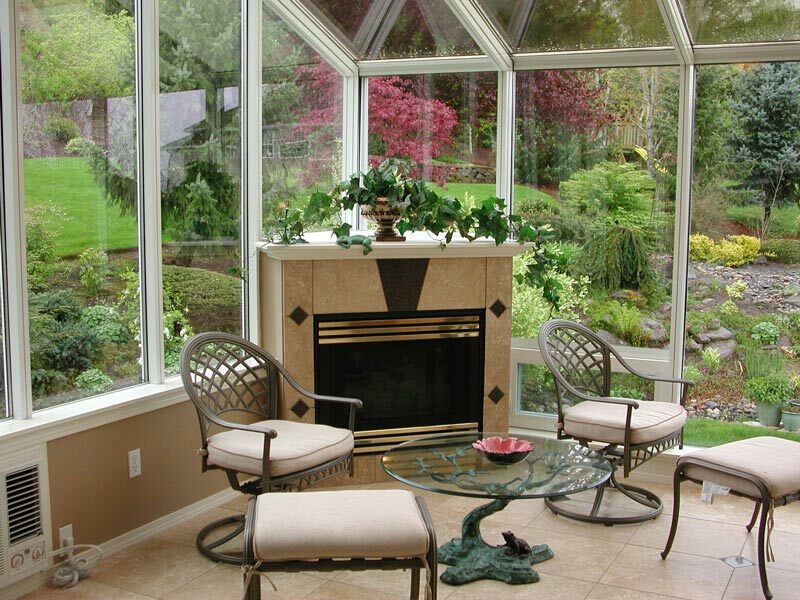 Contemporary, modern, mid-century or rustic, any sunroom can be a seamless addition to your home or stand by itself. 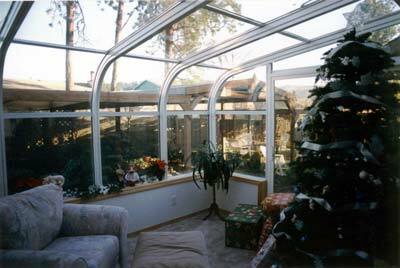 For more information about sunrooms, contact Global Solariums today.